Swablu in game: 7,833 Who? Important notice! Pokemon Swablu is a fictional character of humans. Swablu's first major role was in True Blue Swablu. 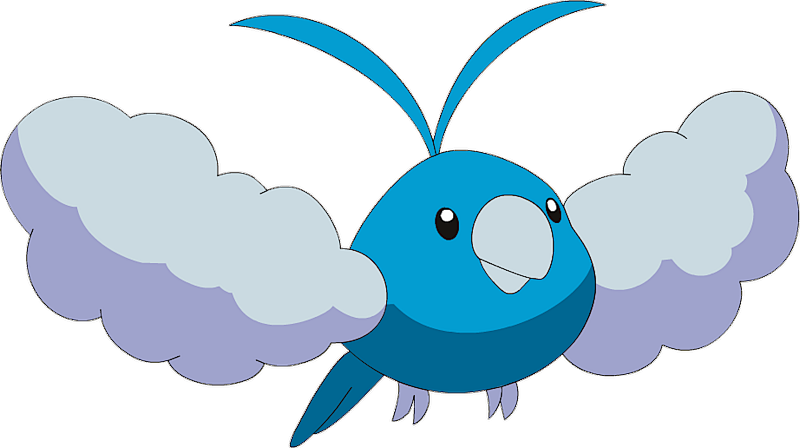 A Swablu got separated from its flock when the tree its flock was nesting in was struck by lightning. May helped to care for Swablu, who had injured its wing, but the Pokémon was suddenly afraid to fly. After the wing was healed, it took Ash and his friends some time to help Swablu get the courage to fly again. At the end of the episode, Swablu was re-united with its flock. 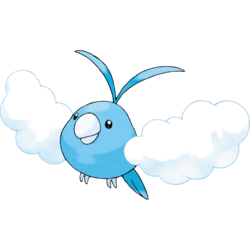 A Swablu has also appeared in That's Just Swellow under the ownership of Shane. It participated in the PokéRinger competition, but lost to James and Dustox. Swablu made its debut appearance in Jirachi: Wish Maker. 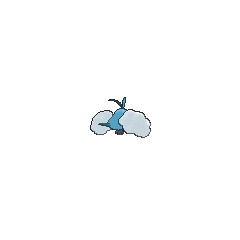 A Swablu also appeared in Clamperl of Wisdom. Multiple Swablu appeared in Lucario and the Mystery of Mew living in the Tree of Beginning. A group of Swablu, Sentret, Furret, Altaria and Shroomish helped Pokémon Ranger Jack Walker when he was a young boy in a blizzard as seen in a flashback in Pokémon Ranger and the Temple of Sea. Multiple Swablu appeared in a brief cameo in Destiny Deoxys and Giratina and the Sky Warrior. A Swablu appeared in Pursuing a Lofty Goal! as one of the participants of the Squallville PokéRinger. 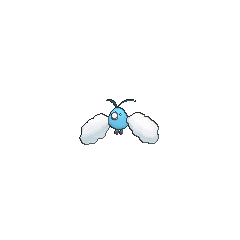 Several Swablu appeared in The Lonely Snover!. A Swablu made a brief appearance in Coming Full-Festival Circle!. 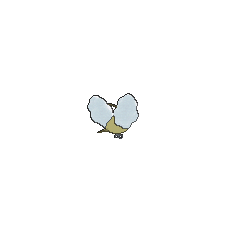 Multiple Swablu appeared in Butterfree and Me!. A Trainer's Swablu appeared in Summer of Discovery!, Foggy Pokémon Orienteering! and Battling Into the Hall of Fame!. Multiple Swablu appeared in the Hoopa's Surprise Ring Adventures short Flying in the Air. Two wild Swablu appeared in The Cavern, where they were flying away from a storm which a Primal Kyogre was causing. In Pokémon Adventures, Winona, Brigette, and Lanette each own a Swablu. Swablu composes gusts to interfere with capture. It heads to whatever it notices.